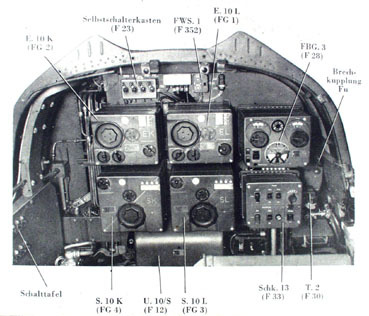 In 1936-37, the firm of Lorenz AG* developed the aircraft radio system FuG 10 for the Luftwaffe. 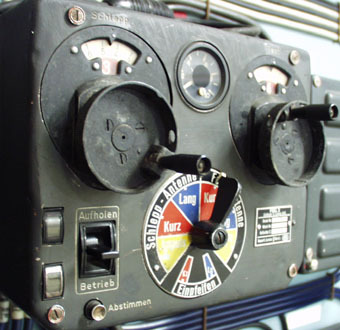 Starting from 1939, it became the preferred equipment for larger aircraft with several crew members (e.g. Ju 88, He 111, DO 217, ME 110). 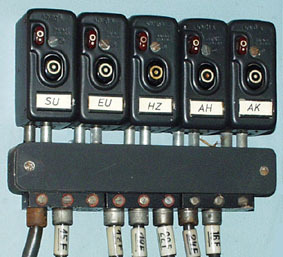 The FuG 10 set was officially standardised. 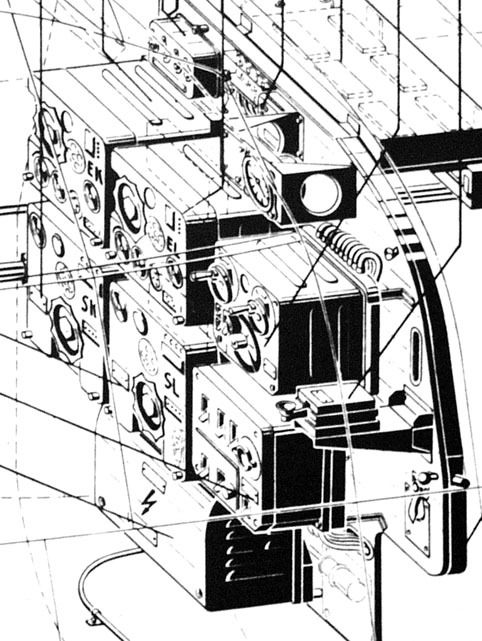 By the end of WW2, Lorenz AG and numerous licensees had built nearly 300,000 sets. 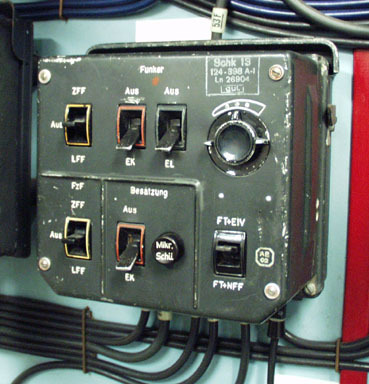 The photo (top right) and drawing (right) show the radio operator's position with all controls and equipment units. 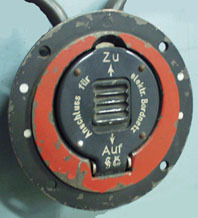 Morse key for radiotelegraphy, also used as press-to-talk key for radiotelephony. 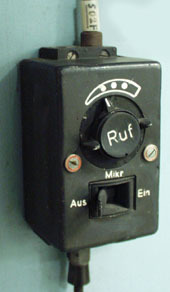 The interphone amplifier is in the tube unit RG (left). Note nameplate. 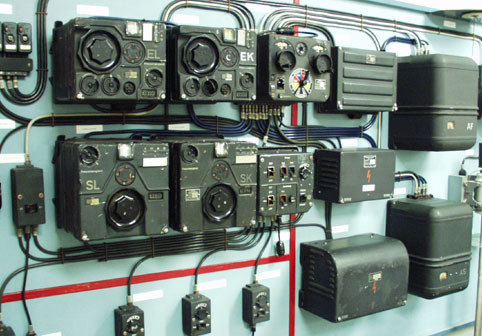 When operating or testing the radio equipment on the ground, an external battery must be connected to the "External Connection to Aircraft Electrical System" socket (right). 2 antennas: Fixed or trailing antenna, selectable at antenna remote control box. Trailing antenna is remote-controlled. 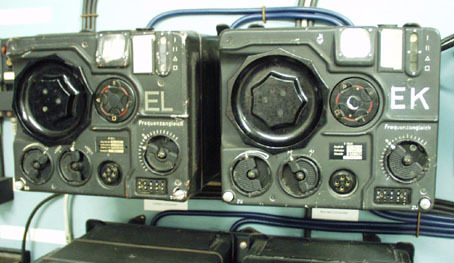 for historical military technology e.V. * Lorenz AG still exists today as Alcatel SEL, Stuttgart - a major telecom-equipment supplier.